Real Life and the Blog. It’s short today. As it sometimes happens real life interferes with the blog. Between vet visits and Father’s Day, dog instructions, medications and plans, well, sigh, where did the time go? I’ve been busy bathing dogs and celebrating with my father. I hope everyone has had a full and happy day. So life is a bit frazzled and scattered today. It will come together tomorrow. In the meantime. Check out all the marvels that await you this week and know we (sigh, I) will be pulling it together. This entry was posted in 5 star Rating, Audio Books, Book Giveaways, Book Reviews, Book Tours and Contests, Books, Contemporary fiction, Dreamspinner Press, eBooks, Fantasy, Historical, Less Than Three Press, LGBTQ Audio Books, LGBTQ Book Reviews, Loose id, M/M Anthologies, M/M Book Reviews, M/M Contemporary Fiction, M/M Fiction, M/M Romance, MLR Press, Riptide Publishing, Torquere Books, Uncategorized. Last week, we started our look at eBooks. How has the eBook changed reading, writing, and perhaps even publishing for you? Perhaps some people may share a view from the beginning, when eBooks started to flourish and others when the eBooks were already an established format as they are today. Where do we think this format might go next? I have no idea. Do you? We’ve asked how do our readers find their stories and authors? What do you think about eBooks? How do authors feel about writing and then publishing their beloved books as ebooks? And we will be asking publishers the same questions too. How has the eBook changed publishing? And where do they see it going from here? One reader, batchelorboy55 brought up an interesting point I’ve missed so far. Advantages of the eBook and eReaders. Normally, we talk of the amount of books we can now take with us. Some people enjoy the anonymity of it all…no covers to display, its all safely tucked away electronically. Other talk about the types of books we can now buy because the authors have a reader audience that can find them…us! But how about those other advantages? Batchelorboy55 said “I now use my ereader with a large font, and when particularly fatigued can swap across to a digital audio, or text to speech audio setting.” Yes, that’s an important point. One I should have brought up before.Whatever the reason you may be having eyesight issues, being able to have a larger font and make the books easier to read? Its beyond marvelous. Same goes for the backlit readers. It eases the eyestrain. How about being able to look up a word without having to leave to get your Websters? All that should be factored in as well. These are all terrific reasons to use a eBook and eReader. What other advantages do you think I’ve missed? So here is some of the last of our readers comments. Is yours among them? Be sure to read all the way to the end where we start to move into our authors posts for next week (and I’ve announced the winners) …. I mainly purchase books from new authors at publisher site, so authors who go independent without publishers are seldom on my radar, except when they are recommended by multiple people/authors (Jordan L Hawk was recommended by Rhys Ford and KJ Charles, River Jaymes and Leta Blake was recommended by multiple friends). However, once I like books by certain authors, I follow them on social media or subscribe to newsletters to make sure I don’t miss their new works. Independent Authors: Before, I got to know independent authors from Goodreads reviews. But these days, I don’t go to GR anymore for updates. Instead, I tend to go scrounge the ‘recommendation’ section from Amazon based on books I love. I found them to be useful. I also subscribed to few author’s newsletters, diligently keep track of upcoming sections from favorite publishers and ARe, as well as checking out Netgalleys. One comment that often gets missed is ‘readability’. As a librarian (45+ years) we always struggled with how technology could help readers with eyesight issues, blind, aged etc. The ebook seems to have made that much more accessible than the clunky magnifiers collecting dust in the back corner of the library, as no-one knew how to work them, nor did many come seeking it. Just as cumbersome were the sets of cassette tapes (some 20 tapes or more), with braille stick-ons indicating playing order. I now use my ereader with a large font, and when particularly fatigued can swap across to a digital audio, or text to speech audio setting. I have to admit though that Dragon Speaking still daunts me when it comes to shopping online for titles. Thankfully I’m not quite there yet, and I can guarantee that I’ll have a sizeable TBR collection to wade through first. Mostly, I find them through review blog sites, known authors’ blogs whose books that I’ve enjoyed, Goodreads and Amazon reviews, Also, it may be through an ebook that I won in a contest or if the story or author was nominated and/or won awards. Sometimes, it’s just because I liked the cover, blurb, genre. Forgot to mention about that sometimes a freebie book or MM group’s free stories have resulted in finding a new author which I’ve became a fan. Although, I’ve become much more picky about the freebies now. I get many referrals/recommendations from friends, group threads and updates at Goodreads. Also follow several m/m blogs, receive emails from Dreamspinner Press, ARe and a few other publishers. And I utilize Bookbub and Amazon, not just for the daily deals, but also for updates regarding new books being released by authors I follow. As a reader: I don’t pick a book based on author or on publisher. If I like the Blurb and the reviews are decent, I’ll buy it. I get “recommendations” from BookBub, Amazon, Goodreads etc. I don’t check for publisher status at all so I don’t go looking for only from publisher x books. The blurb and a good cover is what will attract me to buy a book from anyone. As an Author: My first short story was published in e-book format only from a small independent group as the publisher. My first longer book was both print and e-book, the second was e-book only for over a year. And my third is print and e-book from the start. All done independently. I want to thank everyone for their wonderful comments. Here are our winners for the $10 gift certificate (Dreamspinner, or Amazon, or Riptide…your choice) in no particular order. Notice that there are 5 not 3 winners. I have added two more because of all the wonderful comments. I will be in contact with you about your choice of gift card. New contest starts next week with our Authors Perspective on eBooks so be here with us for that too! Now for this week’s schedule. Here’s Reading You – Readers and Authors (Part II). This entry was posted in 5 star Rating, Audio Books, Book Giveaways, Book Reviews, Book Tours and Contests, Books, Contemporary fiction, Contest Winner Announcement, Dreamspinner Press, eBooks, Fantasy, Harmony Ink YA Press, Historical, Less Than Three Press, LGBTQ Audio Books, LGBTQ Book Reviews, LGBTQ YA Fiction, Loose id, M/M Book Reviews, M/M Contemporary Fiction, M/M Fiction, M/M Paranormal Fiction, M/M Romance, M/M Supernatural Fiction, MLR Press, Riptide Publishing, Science Fiction, Shifters, Weres, Torquere Books, Uncategorized, Wilde City Press and tagged contest winners at Scattered Thoughts and Rogue Words, Here's Reading You - Readers and Authors (Part II), our thoughts on ebooks and eReaders, This Week's Schedule at Scattered Thoughts and Rogue Words. Today we are starting to look at ebooks from a number of perspectives ~ that of the reader, the author, and the publisher! Remember when the eBook was a startling new format? And the eReader? Oh my! Some people railed against them both! Calling them the demise of the book world, saying print would be forgotten, the bookstores demolished…fish falling from the skies, dimensions colliding…well, uh hem…you get my drift. Did that happen? Were there some adjustments to be made? Certainly. But other factors were at large too. 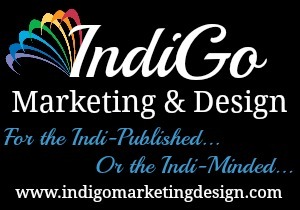 Big box stores were giving way to internet sales, niche bookstores were on the rise and ebooks? Establishing themselves as a format. No longer an experiment…sales were rising! eBook publishers were being founded to meet demands of the readers in all niches. eReaders from different sources were coming on the market to meet the demand. ! I still have my first generation Kindle. Guess what? Works just fine. ‘Course its long been replaced by a new one with fancy lighting that’s easier on my eyes. Or maybe you are reading on a notebook now…so many options. All this is my way of saying the ebook is here to stay. Its just another format now, along side the printed form, and the audiobook. Its no longer the “new” guy in town. And predictably the sales demonstrate that as well. Its audiobooks that demonstrate the greatest growth in numbers. So I was curious. For our readers, authors and publishers. What’s the take on ebooks these days? Where are we finding them? How do we feel about them from many angles and where do you think we are going from here? I get my read recommendations from a number of review blogs I subscribe to, including Scattered Thoughts and Rogue Words! I have gradually whittled them down to about 6-8 whose reviews seem to match my reading wants. I also subscribe to a few favoured authors newletters and/or follow on wordpress to get both their new releases and those they have enjoyed. I also get the newsletters/updates from ARe, Pride Publishing, Dreamspinner, Riptide (think there is more too) to pick up new releases and deals!!! On GR I check the feed from friends to see what they are reading but I dont get so many new reads there. The New Releases/Deals and Steals threads are handy too though it does rely on us posting what we see elsewhere. Thanks for the offer and the inquiry. I mainly have 3 sources, and I mainly search for gay-themed books across a number of favorite genres. 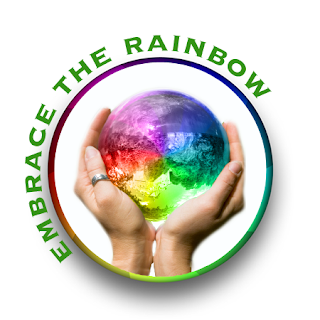 Most recently I’ve usually used GR – I’m a member of several glbtq groups and follow their posts, as well as have several fav authors, and I find books on various “best of …” lists. Initially, I mainly looked at library and Amazon “best” lists and various award nomination lists, like Lambda, Rainbow, etc. Finally, I’m a member of a gay men’s book group in Chicago, and our discussions can lead me to some authors of interest. I tend to find my authors from a variety of sources. I get recommendations on Amazon based upon books I’ve already bought. I have discovered a few that way. 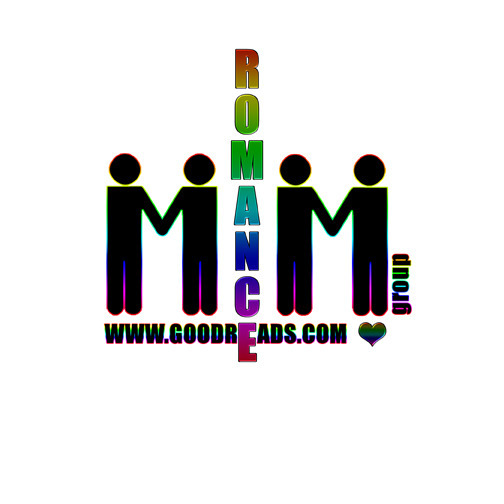 I also participate in Goodreads M/M Group’s Don’t Buy My Love program and discover a lot of new authors/books. Also just general recommendations on Goodreads. I’ve recently subscribed to Scribd and have discovered a couple of new authors there. I still have my old standby of favorite authors but every now and then I like to break away and discover something new. I find them mostly on goodreads, by friend’s recommendations, or in post on goodread’s groups when other reader mention them. I also find some in reviews from reviewing blogs i like. If the book sounds interesting I’ll go to goodreads to check it out and if i liked it i buy it. Also by suggestions from authors i follow on twitter, facebook or their blogs. I’ve found some great authors that way. I read either from publisher or independent authors, i don’t really have a preference there, if the book sounds good, i’ll read it. I get lots from friending authors and bloggers on FB. I check Amazon lists but probably most from GR friends, and their friends, in reviews and comments. I follow all my authors on GR and most on Amazon. I usually know about new books faster from GR and FB than from notifications from Amazon. I buy direct from publishers or/and ARe as often as I can. I use Scribd, it a subscription service for ebooks mostly, if there is a book I want to try but am uncertain if I’d like it I’ll use my credit there to get the book. Some of their books are unlimited and thats also a good way to get a new author/book to get noticed, since one only has 3 credits per month. When looking for things to chose for the credits on Scribd, I use the monthly lists of new releases at Goodreads or themed lists if I am looking for some particular genre/theme. Especially for new independent authors its important that the book are shelfes correctly, since a lot of people use the Goodreads lists for reading challenges. A nice cover and a good summary are also a must. Drawn covers get more attention at least its that way for me, a leftover from my manga reading days. Reviews are nice especially if its been around a few month. I buy my books where its convenient for me, like ARe and Amazon but also Kobo. Sometimes the publishers website but its inconvenient to have a lot of accounts. KU is also a good way to get noticed, again it should be shelfed, the author might think about joining the GR M/m KU group, add the book to the upcoming list there and shelf it on the bookshelf of the group. That’s just a small sampling of the replies so far. But the trend is clear. When searching out for that next book or author, there is no one source. As a reader, we are looking everywhere. That includes myself. I love that! To me, it means we are open to new possibilities, new authors, new stories! That the new author has a better chance of finding a audience for their voice, their story, because readers are searching through a multitude of venues for their next book. And yes, if that author wants it, perhaps they have a better chance of finding a publisher. The internet and its various communities has become our book and author hunting ground and we are putting it to good use. We also follow those authors we like through a number of sources as well be it Goodreads or their own blogs or their publishers. Let us not forget we follow them on Twitter, Pinterest, FB, Snapchat and various other media too. I wonder if writers these days wish they could just write and not worry about the rest. We will hear from them later on. There is one week left to get your comments in before our reader winners are chosen. Next week we will finish up with our readers perspective and be on to how our authors view ebooks and writing. Readers, tell me how you find your independent authors. Buy randomly? Pick them out from Goodreads? Already follow them? Or maybe you don’t? Maybe you only buy books from a publisher or a author linked to a publisher. I want to know that too. 3 winners who leave comments will get a $10 gift certificate (Dreamspinner, or Amazon, or Riptide…your choice). This contest will end quickly as I need the answers to use in in my blog, so think about them. Contest ends Oct 15th, midnight. Make sure you leave your email address where you can be reached. More winners maybe chosen if the comments are extra wonderful. Thanks. Here’s Reading You! Readers on eBooks! This entry was posted in 5 star Rating, Book Giveaways, Book Reviews, Book Tours and Contests, Books, Contemporary fiction, Dreamspinner Press, eBooks, Fantasy, Harmony Ink YA Press, Historical, Less Than Three Press, LGBTQ Book Reviews, LGBTQ YA Fiction, Loose id, M/M Anthologies, M/M Book Reviews, M/M Contemporary Fiction, M/M Fiction, M/M Paranormal Fiction, M/M Romance, M/M Supernatural Fiction, MLR Press, Riptide Publishing, Science Fiction, Self Published, Torquere Books, Uncategorized, Wilde City Press and tagged Here's Reading You! Readers on eBooks!, This Week at Scattered Thoughts and Rogue Words. Of Reading and Writing Books ~ A World of Choices! Last month, our topic was focused on the audiobook as all market trends are pointing to that as the new hot book market. What? Not ebooks? I can remember when (yes, not that long ago) when the ebook was being held up as both the savior of reading and the demise of the printed form. Neither has happened. The printed form continues to survive simply because there will always be people who love the feel of a book in their hands and who savor the experience of turning a real page. I know as I’m one of them. I treasure my old print favorites that line my bookshelves. Simply glancing over can bring up a phrase or a memory as I look at a binding. A ebook can never do that. But the eBook gave me other choices while bolstering the careers of authors old and new. It enlarged our options of the types of books available, the genres often described as niche are maybe less so, and now when I think books…its anything is possible. Libraries have ebooks, bookstores carry M/M paperbacks, and I can get audiobooks through a number of sources including Dreamspinner Press, Riptide Publishing, Less Than Three Press, Amazon…so many choices. What’s next? And how did we get here? When I go somewhere local, its my Kindle that goes with me and not a dog-eared paperback as in a the past or a heavy hardbound copy of the latest mystery. I love that convenience and the light weight. (However, if I’m heading to some place where I know the wifi will disappear like this morning’s Krispy Kreme? Out comes the paperback.) The eBook made other things happen however, authors were able to get their stories out to readers who wanted to read them. Niche publishing like M/M romances or just plain M/M or LGBT fiction established itself and grew from a few publishers into a variety publishing houses offering now a number of formats from print to ebook and yes, audiobook versions and in a number of languages. But there are some authors who prefer to do it themselves, they go the self publishing route. I often wonder about them…how hard it is for them to find an audience for their stories, a following for their particular outlook on writing. How do you, the reader, find an independent author? How do you buy your books? Authors! What’s your experience like as a writer? Did you first publish in print? Or eBook? At a publisher? Or self publish? I want to hear from you! I’ll also be reaching out to several authors and publishers in search of answers and insight. I’ll let you know what I find. So, that’s going to be our focus for my Sunday rambles. A look at books..ebook from a reader’s, author’s and hopefully, a publisher’s point of view. How its changed, how its remained the same and where we think its going. I hope you will stay with us all month long. I’ll be throwing in a Spooky Reading Contest or two as well because of Halloween. My first contest? Readers, tell me how you find your independent authors. Buy randomly? Pick them out from Goodreads? Already follow them? Or maybe you don’t? Maybe you only buy books from a publisher or a author linked to a publisher. I want to know that too. 3 winners who leave comments will get a $10 gift certificate (Dreamspinner, or Amazon, or Riptide…your choice). This contest will end quickly as I need the answers to use in in my blog, so think about them. Contest ends Oct 15th, midnight. Make sure you leave your email address where you can be reached. More winners maybe chosen if the comments are extra wonderful. Thanks. Meanwhile here are our winners of the audiobooks from Joel Leslie. Congratulations! tdblomander AT yahoo Dot com Mail bouncing back…please contact us! Joel will be in touch with each of you about choosing and receiving your audiobooks. Happy listening. For all our other listeners and readers? New contests for ebooks starts this week. Don’t forget to leave your comment and email address, plus more is sure to come. Hmmmm, meet us back here to find out. Meanwhile this week’s schedule at Scattered Thoughts and Rogue Words. Of Reading and Writing Books~ A World of Choices! This entry was posted in Audio Books, Book Giveaways, Book Reviews, Book Tours and Contests, Books, Contemporary fiction, Contest Winner Announcement, Dreamspinner Press, eBooks, Fantasy, Harmony Ink YA Press, Historical, Less Than Three Press, LGBTQ Audio Books, LGBTQ Book Reviews, Loose id, M/M Anthologies, M/M Book Reviews, M/M Contemporary Fiction, M/M Fiction, M/M Paranormal Fiction, M/M Romance, M/M Supernatural Fiction, MLR Press, Riptide Publishing, Science Fiction, Self Published, Torquere Books, Uncategorized and tagged audiobook contest winners, Of Reading and Writing Books~ A World of Choices!, This Week at Scattered Thoughts and Rogue Words.